Last week, the Commerce Department reporting on Thursday that gross domestic product rose 2.6 percent during the fourth quarter, which bested expectations of 2.2 percent by a Dow Jones survey of economists. The higher GDP number was backed by National Economic Council Director Larry Kudlow saying that ongoing negotiations with China are making “fantastic” progress. During the interview, Kudlow said that the world’s second largest economy was willing to make key changes regarding the theft of intellectual property, which has been a major point of contention during the trade talks. 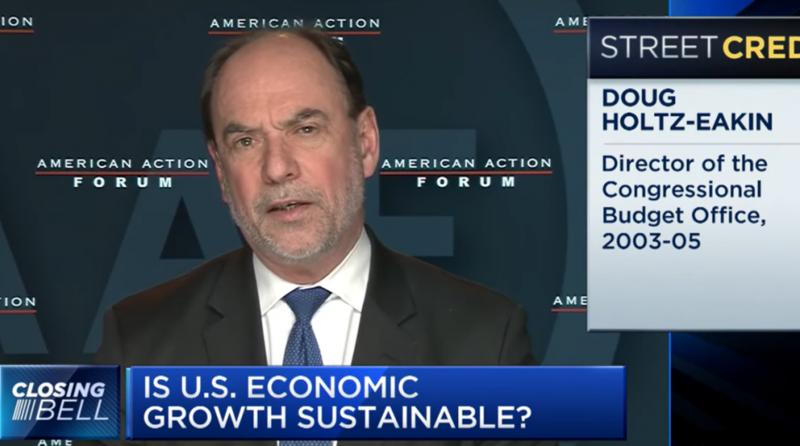 In the video below, CNBC’s “Closing Bell” team is joined by Jason Furman, former chair of the White House Council of Economic Advisors, and Doug Holtz-Eakin, president of the American Action Forum, to discuss what the latest GDP numbers mean for the outlook of the U.S. economy.